PALM BEACH, FL – Guests at the American Lung Association’s “Breath of Life” luncheon will be taking a whimsical trip through Alice’s Adventure in Wonderland. 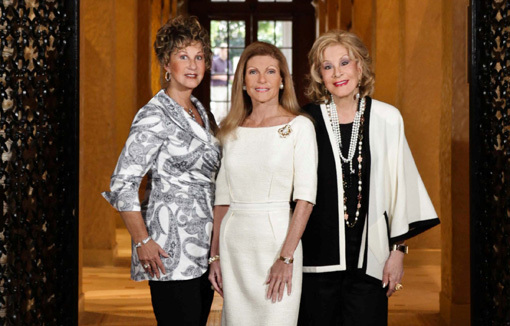 Chairing the event, which will be held at The Breakers on Feb. 22, 2013, at 11:30 a.m., are Arlette Gordon, Ari Rifkin, Carol Weltz and Gail Worth. The program will feature singing artist Kelley McGillicuddy, who’s currently performing at Walt Disney World. She will be introduced by Kathi Kretzer. Though the Mad Hatter will be absent, guests are encouraged to don their favorite hat to celebrate the day. The luncheon will include a silent auction and lunch. 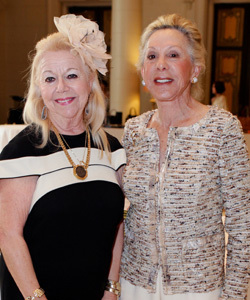 The event founder is Suzy Minkoff; Hermé de Wyman Miro is honorary international chair; Elizabeth Bowden, Rhoda and David Chase and Sieglinde Wikstrom are honorary national chairs; Lois Pope is honorary fashion chair; Judi Richards and Soula Rifkin are entertainment chairs; and honorary corporate chairs are Renee Bakarian, of MacKenzie-Childs Palm Beach, and Moneca Kaufmann, of Kaufmann de Suisse Palm Beach. Auction chairs are Faith Morford and Bobbi Shorr. Photos by Lucien Capehart Photography.